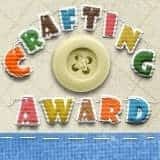 En ny flott utfordring er lagt ut hos Crafts 4 Eternity. Denne gangen er det en fargeutfordring, hvor vi vil se at disse fargene dominerer kortet ditt. 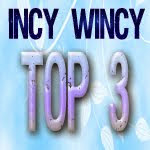 A new fabulous challenge is posted at Crafts 4 Eternity. This time we have a color recipe, be inspired of this colors belowe. Og her er fargene du skal la deg inspirere av. 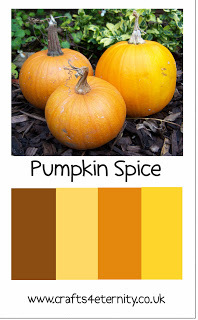 And here are the color recipe. You find them here. 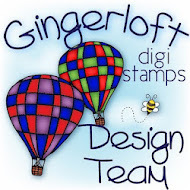 Random winner get 3 digital stamps. Håper du vil være med på vår utfordring. Besøk gjerne vår blogg og se hva de andre jentene har laget. Vi har også to ny jenter med på laget; Velkommen Cathy og Olga. 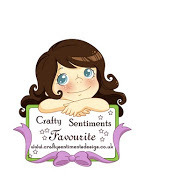 Please visit our blog and take a look what the other fabulous girls have made. We also have two new teamies; Welcome Cathy and Olga. Da gjenstår det bare å ønske deg ei fabelaktig helg ! It remains only to wish you a fabulous weekend ! This is gorgeous Berit. Thank you for your warm welcome to the team and I look forward to working with you. The card is great, Berit!! I'm glad that we are in one team. I love all your details inside and out, very beautiful. Thanks joining us at SSD this week for our Halloween Spectacular! Goood Luck. This is beautiful card, love how the button matches your dp. Thank you for joining us at Eclectic Ellapu this week. 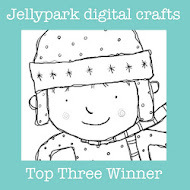 Thank you for playing along at Kaboodle Doodles! your card is super cute! Love that corner die cut too. Wonderful digital image utilized on your card and lovely colors! Thanks for joining us at Kaboodle Doodles’ “Pumpkin Patch /Anything Fall” Challenge! Lovely card. Colours are beautiful. Berit: This is wonderful--love it all! Thanks for joining us for our Challenge #24 - Pumpkins. Wow this is stunning! 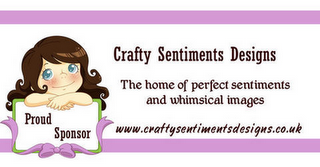 Totally love all the wonderful dies you have used. all your cards are SO darling, berit. 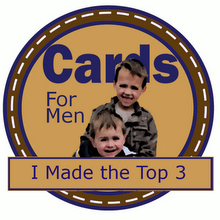 i really hope you ca jpin us this week and share a card or two in our challenge. We always appreciate having you play along with us. Sweet card, Berit, love your image! 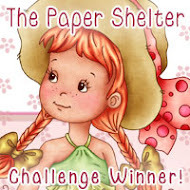 Thanks for joining us at the Papercraft Star this week. Oh, now I gotta look up that song! I love Halloween songs! :) This is adorable! Thanks for playing with us at One Stitch At A Time's "Music or a Song" challenge! Hope to see you next week with the new challenge! Hej Berit Synnöve, vilket underbart vackert kort! Gillar layouten och banden är så snygga. Underbart färglagt motiv och så roligt att se att du även har dekorerat insidan av kortet. Tack så mycket för att du deltar med ditt kort i våran Halloweentävling hos Dream Valley. Hoppas att få se mer av dina kreationer framöver. Lycka till! This card is adorable. The papers you chose are so pretty and make a wonderful showcase for this sweet image. Love the buttons and the tiny bows and ribbon elements. 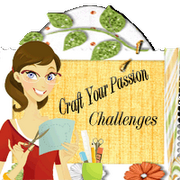 Thanks for joining our Which Witch is Which challenge at Craft Your Passion this week. I hope we see you again soon. Awesome care...great colors...and great embellishments. Thank you for joining our Anything Goes at Stamp-n-doodles. Hi there. Such a fab design and cute character. I love it. 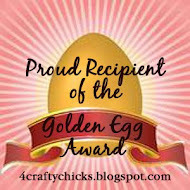 Thanks for sharing at Lexi's Creations. This is gorgeous. I love all the different elements you used. Thanks for participating at CYP. She is so sweet and so lovely on your gorgeous card. Beautiful card inside and out Berit, love the cute image and great colours and design! Thanks for joining us at Fussy and Fancy and good luck! Absolutely adorable fall card! 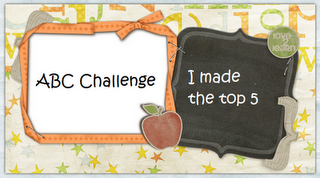 Thanks for playing along with us at Love to Create Challenge! What a sweet image. 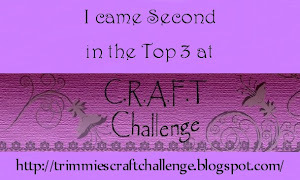 Thanks for playing along with the Eerie Inspiration Challenge over on the Simon Says Stamp Challenge Blog! What an elegant card. The inside is embellished just beautifully! Thank you for joining us this week over at the Papercraft Star. What a pretty card! Love the colors and the that sweet image! So glad you linked up at Craft Us Crazy! What a pretty card, love that flower die cut piece in the corner! 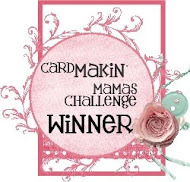 Thanks for joining the Spooky/Halloween challenge with the Card Makin' Mamas! Awww! This has to be the cuuuutest little witch I've ever seen! Wonderful use of a softer palette, perfect for this cutie. Thank you so much for joining in on our Which is Witch challenge over at Raise The Bar!